It was bright, sunny and 82 degrees this afternoon, so J and I rode our bikes to the beach. 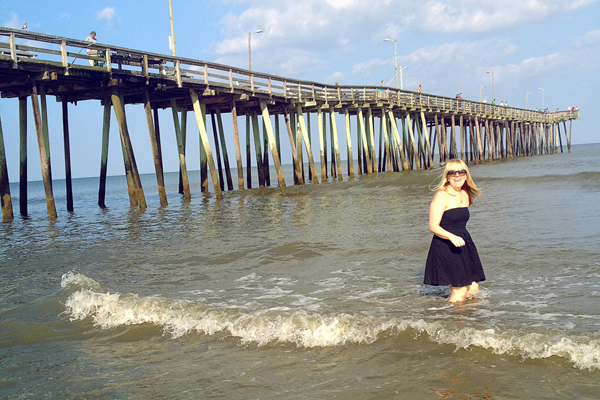 I wasn’t expecting the water to be warm enough for swimming, but it was perfect. 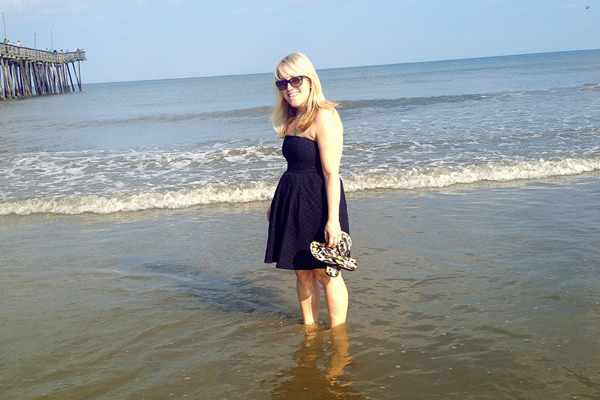 Not to be deterred by lack of a swimsuit and a towel, I waded out into the salty Atlantic in my dress. I thought it was a novel idea at first — the kind of thing you only see in movies or magazine photo shoots. But after awhile, I realized it was the rare sort of day where you find lots of people in the ocean with their clothes on. It was as if we all flocked to the beach a few hours ahead of the cold front, expecting the water to be freezing. The realization we were wrong, coupled with the fact that the temperature is going to take a 20-degree tumble overnight, made taking one last dip somewhat irresistible…dresses, shorts, jeans or otherwise. When I left school Friday afternoon, it was a warm and balmy 94 degrees. By Friday night, the wind changed directions and the cold front was on its way. The mercury hasn’t reached 55 all weekend, plus the winds are strong and it’s drizzling rain. Definitely a weekend worthy of staying inside or catching a matinee at the movie theater. (Which we did, Pitch Perfect was cute …. a few LOL moments.) I’m raising my glass (filled with sweet tea, of course) to you and the last days of summer, the final “swim” if you will, of 2012. Of course, later this week the temps are back to 90 again. CRAZY weather!!!!!! 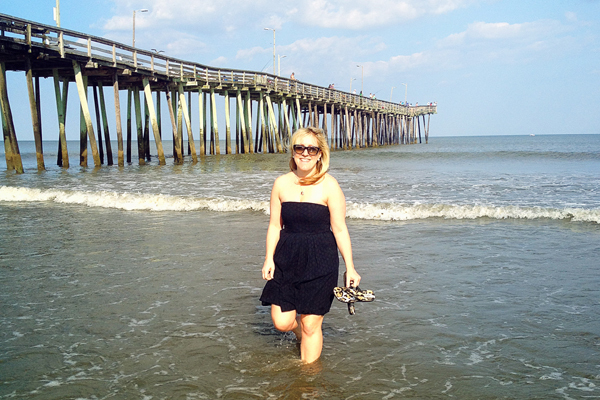 I have learned that September and October are the best times to go to the East Coast Beaches. The water has FINALLY warmed up and the days are still pretty warm.